If you want a thrilling and fulfilling day in the saddle, then get on the trail with Lost Earth Adventures. We will provide you with all the guidance and instruction needed to create a truly unforgettable unique experience. We offer both open group events where anyone can join in as well as private outings for you and your friends, thus giving you the freedom and flexibility to make your day your own. Our courses can run at any time and we’ll adjust it to your level of experience so we really do have something for everyone. We will always aim to accommodate so just get in touch to let us know when is convenient for you and to check availability. 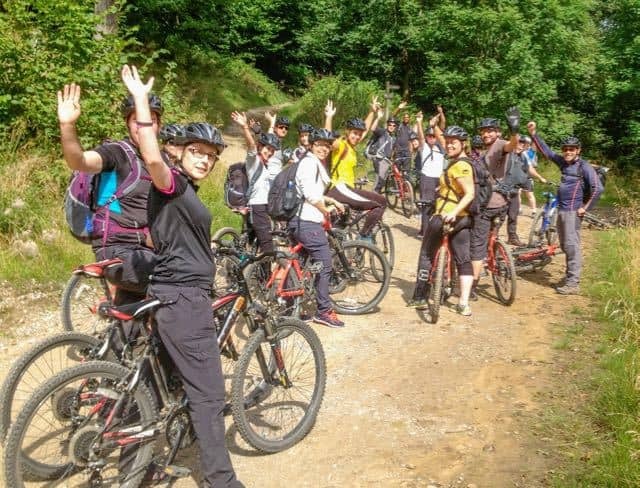 We have an excellent guide to client ratio to ensure the highest standards of care, instruction, success and safety and to make sure that your mountain biking adventure is as enjoyable as possible. Our guides will tailor the day to suit your aims and aspirations perfectly – all you have to do is let us know what kind of day you would like. 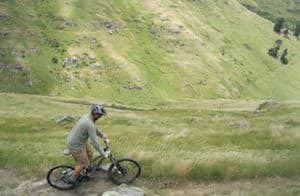 All our instructors are fully qualified, highly trained and have been mountain biking all over the world for many years. 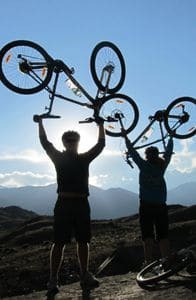 If you wish to learn about mountain biking, they can cover any aspect for you. Their valuable expertise will give you a highly rewarding experience. We can’t wait to show you the delights, trails and sights that Yorkshire and the Peak District have to offer! 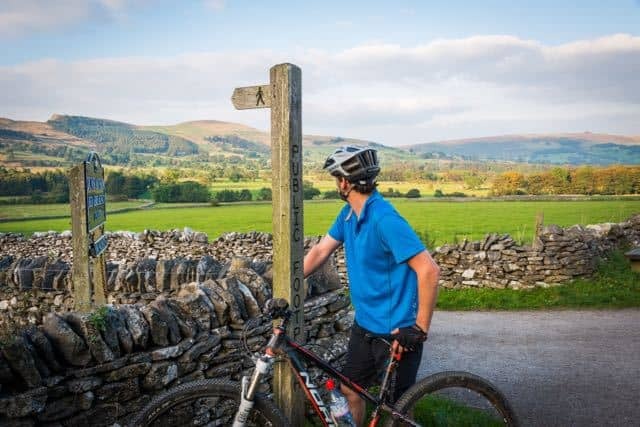 Our guides are the experts in the best cross country, singletrack and freeride trails across the North York Moors, the Yorkshire Dales, the Peak District and everywhere in between. 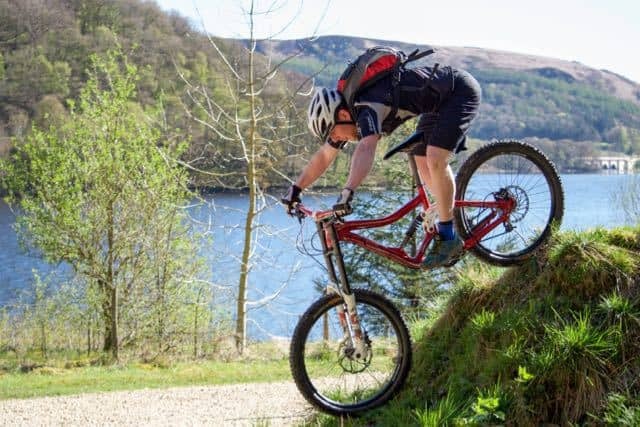 They know where the best and lesser known trails are and, most importantly, how to connect them to create a challenging and enjoyable ride for all levels. Our guided rides provide individuals or groups with everything necessary to ensure the perfect ride. 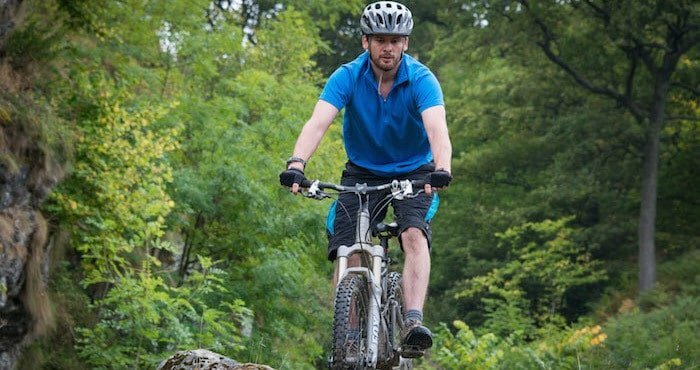 Our team is highly experienced, local area trail experts, qualified first aiders and expert bike technicians. 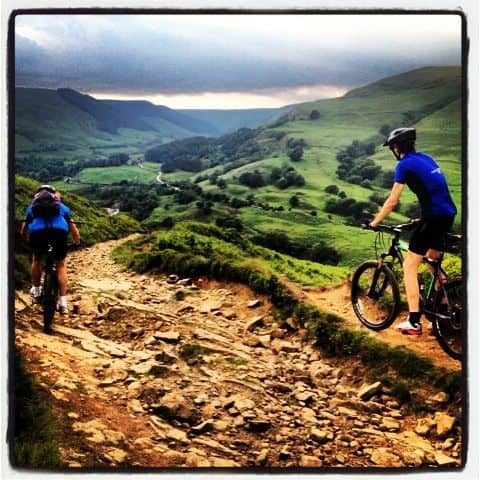 Lost Earth Adventures will look after every aspect of your mountain bike adventure, all you need to do is sit back, enjoy the ride and keep pedalling. Please let us know what type of ride you would like and what level you consider yourself to be and we will happily tailor the experience to you. We can arrange anything from a high adrenaline adventure ride to a gentler coast through the countryside. 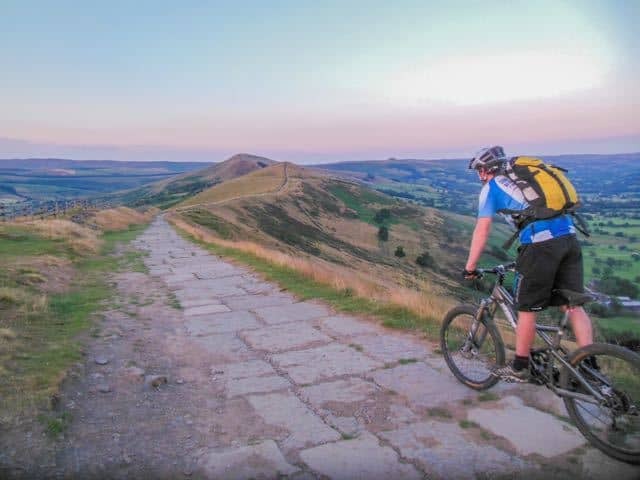 If you would like more time to experience the trails that Yorkshire and the Peak District have to offer then maybe you’d like to make a weekend of it on one of our active weekend breaks? 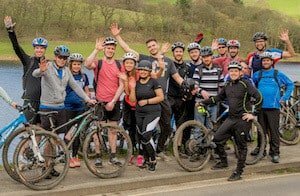 Our mountain bike leaders are extremely experienced, have competed across the globe and seriously love Yorkshire, the Peak District and Mountain Biking. They also love passing on their knowledge to others and will help to get the very best mountain biker out of you and your trail riding. 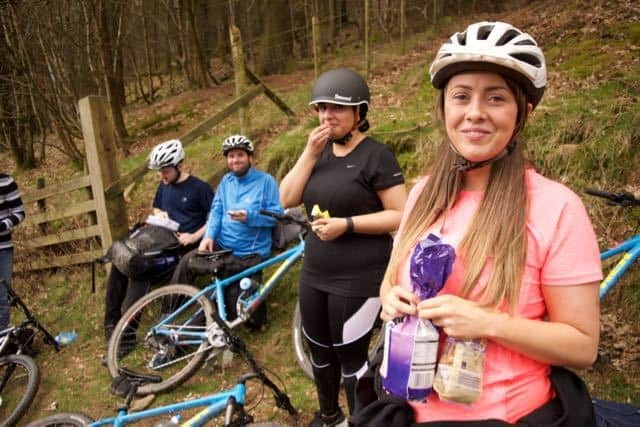 With our full day mountain biking adventure you will challenge yourself, develop your skills, cover some miles and see some stunning scenery. Continue reading about our skills coaching. 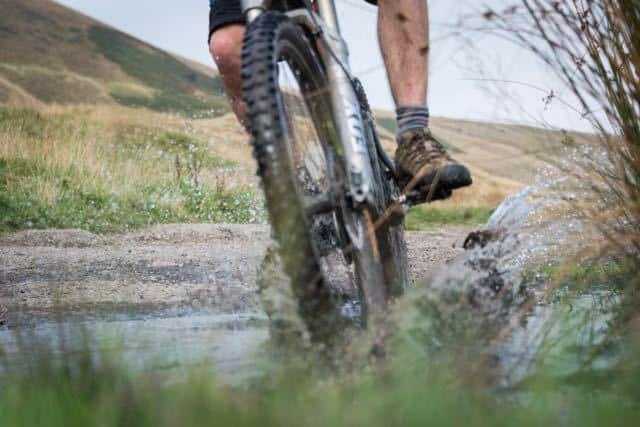 If you are interested in learning about mountain biking equipment and how to use it safely we can offer you a course with a slightly more educational approach. No matter if you are starting with very little experience or wish to build on what you already have we will be able to tailor the course to suit you. Continue reading about our maintenance courses. 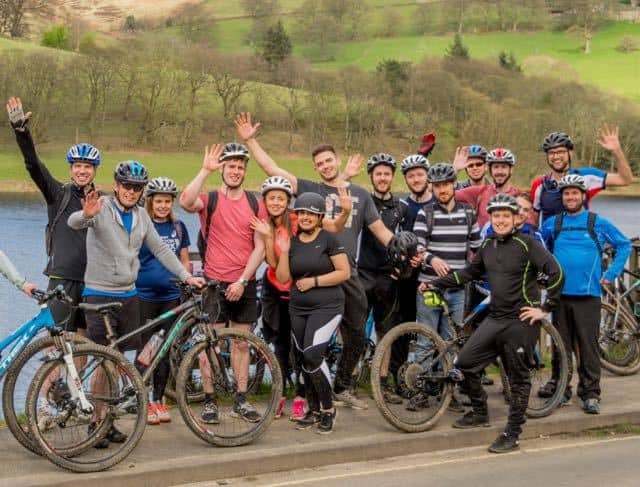 Whether you would like a day tailored towards school groups, company team building, a charity event, a celebratory birthday experience, or something a little more suited to Stag/Hen do’s (or something else entirely): please continue reading about group experience days. Click on the arrows below to take a photographic adventure through the mountains of Northern England. Read more information about our mountain biking lessons. Please read the mountain bike kit list to see what you need to bring with you on your ride. We hope you remember your adventures for years to come so it is okay to bring cameras on our activities. However, please be aware that due to the nature of our activities, cameras and phones may get wet and damaged so do try to waterproof and protect them sufficiently. We cannot be held responsible for damage of valuables. At Lost Earth Adventures we take safety very seriously. We have full public and product liability insurance, write risk assessments for every activity we offer and use highly experienced and qualified instructors with a good client to staff ratio. Read more about our safety policy and our AALA License. Helicopters, Jeeps, small airplanes or the power of your own body to reach Himalayan summits. We live our lives playing in this great Himalayan wilderness and we’re itching to show you the flowing trails and stunning scenery that Nepal has to offer. Have your own personal instructor for the day. Bike rental is not included with private groups but is available at some locations from £15-£45 depending on quality, location and duration. Call us on 01904 500094 for details. Please see which venues have bike hire in Yorkshire and the Peak District. Our private guided sessions will be tailored for you and your group, giving you the freedom and flexibility to make your day your own. 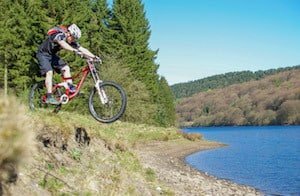 We can cover any aspect of mountain biking you desire. You will have your own personal qualified and insured instructor for the day trained to MIAS level 2 minimum and have many years of experience under their belt. Most of our instructors have competed across the world and we regularly run guided bike trips to the Himalaya. We have the Nepalese downhill champion on our team! Read about the skills courses here and about our guides here. Click here to reserve your personal instructor(s) for you and your group.